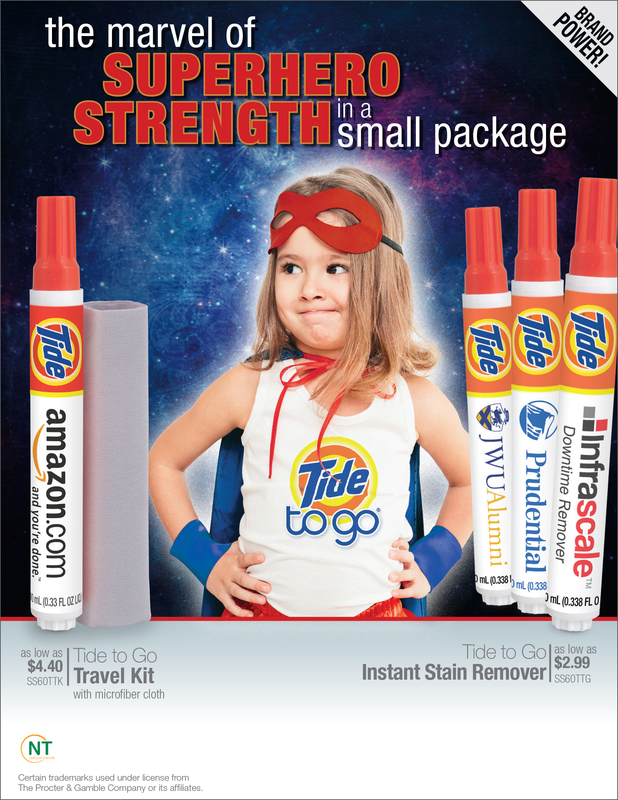 When on the road, choose the Tide to Go Travel Kit. The 4˝ x 7˝ microfiber cloth helps remove excess stain residue and solution. Price does not include imprint on cloth. Spot color, debossing, or full color imprint on cloth available with upcharge and set-up (white or gray cloth only). Microfiber Cloth: 4" x 7"
Spot Color: 3.75 x 6.75 in. Deboss: 1.5 x 3 in. Full Color: 4-color process, full bleed. 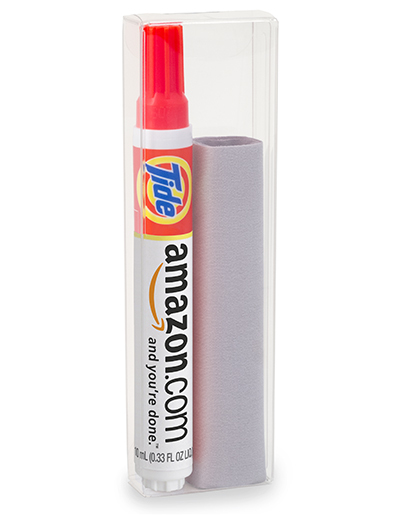 Product may be sent via ground or air. Product is not returnable due to leakage or color change to fabric.